As Christmas 2016 neared, Britney Kent wanted to find some special gifts for friends and family, but she didn’t have a lot of money to spend. Always artistic, the music business major set out to make the gifts herself. So, Kent consulted the internet and started embroidering a few gifts. Friends and family members told others about the gifts and soon she had requests for more. 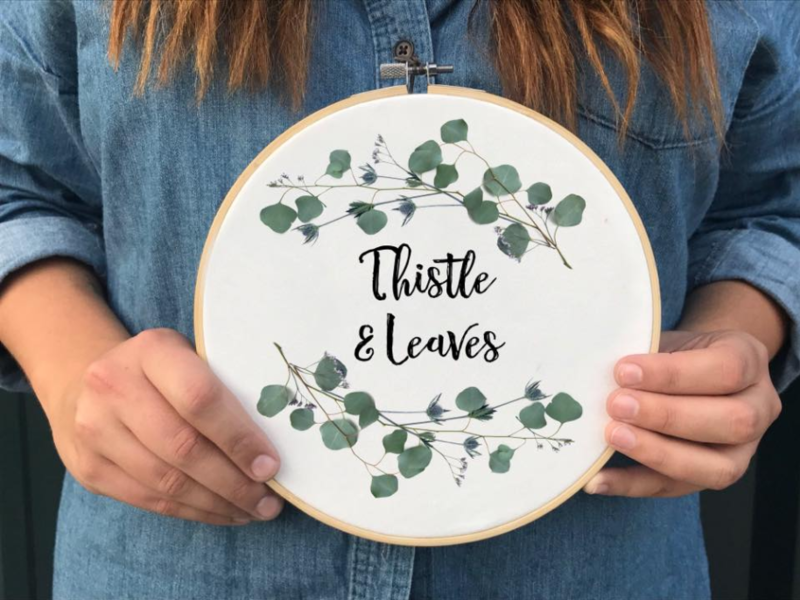 By January 2017, Kent was selling her hand-embroidered designs on Instagram under the name Thistle and Leaves, sharing the business with a friend who did calligraphy. By September 2017, Kent had opened her own store on Etsy under the same name. Now a senior, Kent often finds herself juggling school work and her business. To keep up with orders, she often carries projects in her backpack, sneaking in a little embroidery whenever she has a little free time. Kent has developed all of her own designs and hand-stitches each piece. She does custom pieces—including embroidered pet portraits—as well as sonograms, wedding bouquets, inspirational quotes, Christmas ornaments portrait embroideries and more. Kent’s Etsy shop is currently on a short vacation as she prepares inventory for Vintage Market Days, an upscale craft fair featuring handmade items, original art, jewelry, antiques and more. Held at the Nashville Fairgrounds, Vintage Market Days is scheduled from Nov. 30-Dec. 2. Kent says she hopes to take part in more craft fairs and markets in the future. For Kent, Thistle and Leaves is a fun side business, a creative outlet she hopes to continue long after college. After graduation, she hopes to work in the music industry, perhaps in artist or merch management. “Since I’m graduating, I want to work in the music business,” Kent said. “Thistle and Leaves has never been something I wanted to do fulltime; it’s a side job. But as long as people are interested in it and there’s a demand, I’ll keep doing it on the side. Even though she doesn’t plan to parlay Thistle and Leaves into a full-time job, Kent says her business has benefited from her Trevecca education. 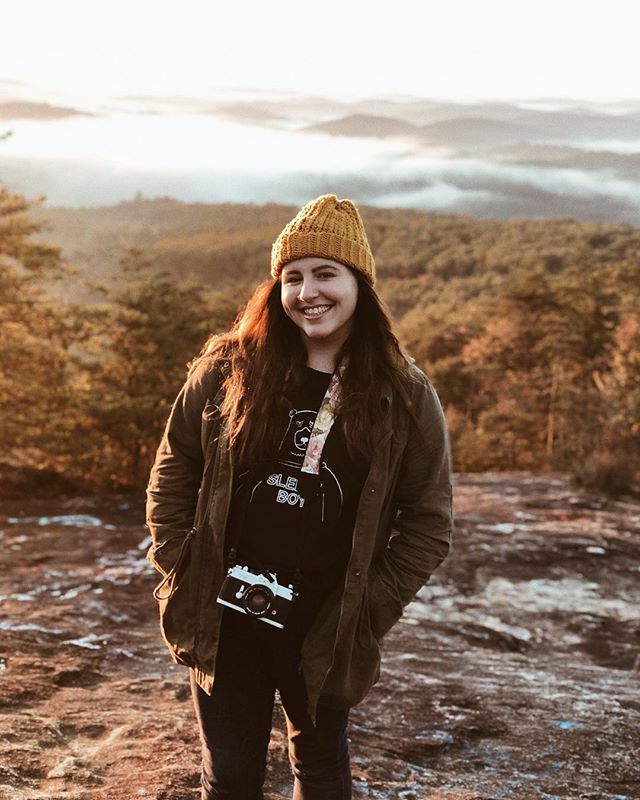 As a music business major, a concentration housed within Trevecca’s Skinner School of Business and Technology, Kent says she’s developed a strong foundation that have given her the skills and knowledge to run a successful business while still a student. Kent says she’s been able to take what she’s learned through her classes and apply it in real-world situations. To see Kent’s creations, follow her on Instagram (@thistleandleaves), visit ThistleandLeavesShop on Etsy or find her booth at Vintage Market Days’ Spirit of Christmas event set for Nov. 30-Dec. 2 at the Nashville Fairgrounds. To learn more about Trevecca’s new entrepreneurship program, visit www.trevecca.edu/entrepreneurship.